Panel Encuentro De-Formación: Estando Aquí Haciendo Algo conference, Mexico City, 2014. My first extensive Pacific Standard Time: LA/LA travel curiously began in Shanghai where I was a jury member for the International Public Art award. It was these intense series of conversations with people like Uta Meta Bauer, Lewis Biggs, Jay Pather, and Pooja Sood over the qualifying characteristics of what makes good public art practices around the globe that really set me up for the proceeding week in Mexico City as a participant of the 2º Encuentro De-Formación: Estando Aquí Haciendo Algo conference. The week-long conference was organized by one of our Talking to Action research collaborators David Gutiérrez Castañeda and sponsored by the Centro Cultural de España. My presence at the conference served two purposes: first, it was the place where many researchers of community-based art practices, whose work I respect, would be presenting. It was an opportunity to present Talking to Action, get feedback about the project and open a face-to-face dialogue with some key researchers who will be involved in the research phase of this project. 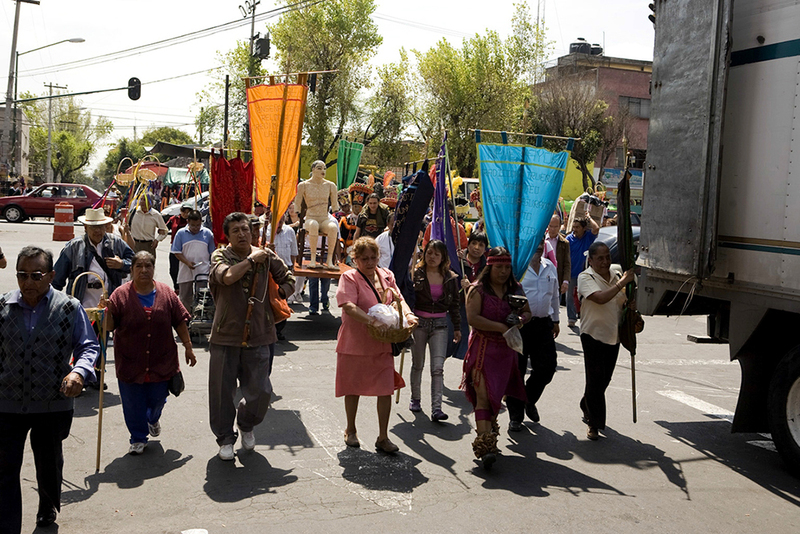 The second purpose was to investigate some community-driven practices in Mexico City that would be introduced through the conference, as well as conduct my research. 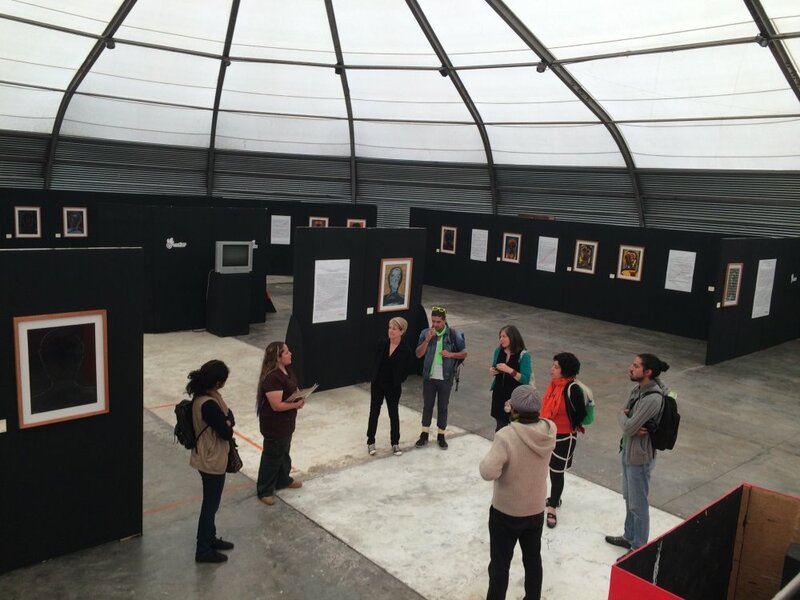 Some of the artists and researchers who were in attendance included: Suzanne Lacy, Peter McLaren (US), Inter-ferencia, Andres Arredondo (CO), Mabel Tapia (AR), Alejandro Cevallos, Maria Fernanda Cartagena (EC), Maite Garbayo (ES), Paulina Varas (CL), Alfadir Luna, Katia Olalde (MX) and others. 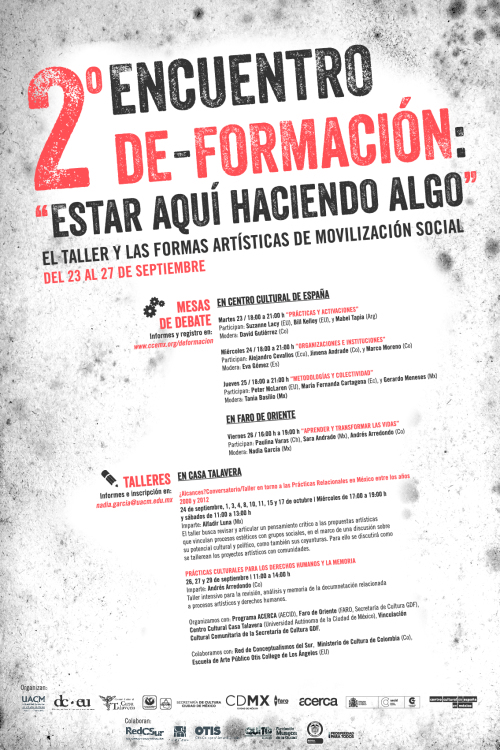 Poster for Encuentro De-Formación: Estando Aquí Haciendo Algo conference, Mexico City, 2014. 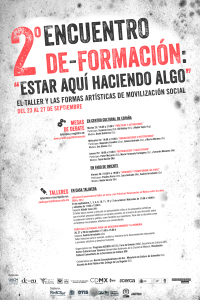 In contrast to high profile conferences like Creative Time and Open Engagement in the U.S., Encuentro De-Formación is both quietly committed to rigorous exchanges and is unambiguously political, in both its discursive frame and selection of the case studies. The conference’s contextual engagement with its social and political realities is rare and welcomed. From transdisciplinary analysis of pedagogical methodologies to honest inquiries into the limitations of art and the art world, the focus on decolonial and political dimensions of the practice is badly needed within the field at this moment and has important lessons to offer us here in the north. 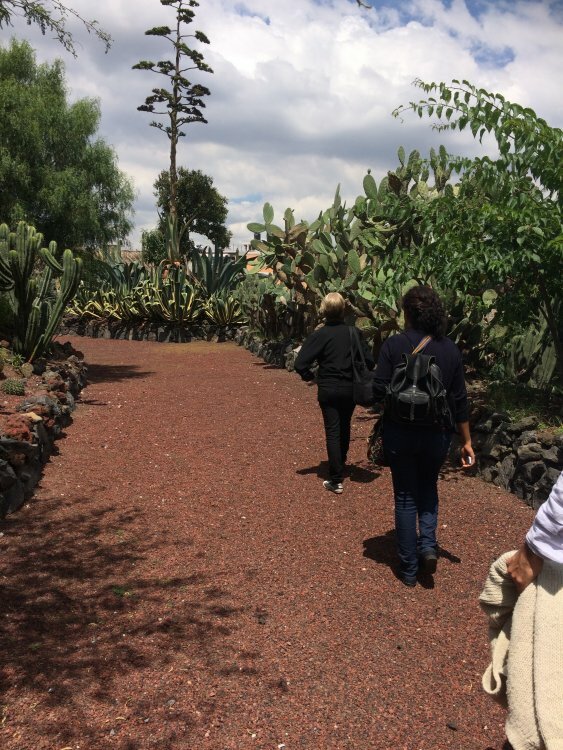 One of the benefits of speaking at the conference was the opportunity to take four individual trips to visit the four FAROS in and around Mexico City. 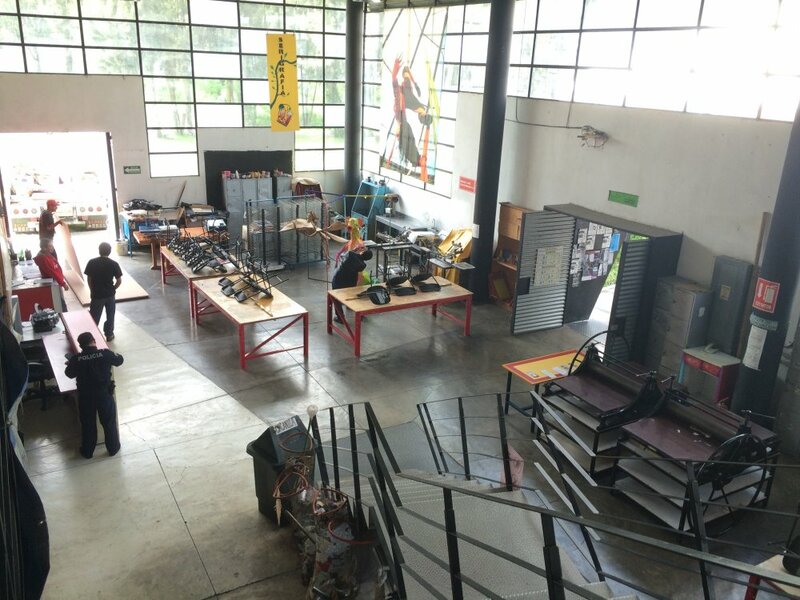 FAROS (Fábricas de Arte y Oficios/ Arts and Trades Factory) are large campuses funded by the Secretary of Culture that provide numerous workshops, support local art and craft making, function as information and learning centers for all manner of cultural efforts. Each FARO has a distinct character depending on the region where it is located – some place emphasis on environmental issues, while others focus on regional craft traditions. Day-long visits to the FAROs were followed by conversations with the staff and the administration where we shared our observations and learned more about their work and the challenges they face. One concern that was repeatedly brought up regarding Talking to Action was the issue of “why” bring community-based practices into the art world: a valid question. What does the Getty or Otis College, or even Los Angeles for that matter, have to gain from having projects that have had very little interlocution with the art world brought into this arena? What, if anything, do the practices gain from that invitation? This was important feedback regarding our collective research and our positions as curators and theorists in the field. The following series of audio interviews is the first step in addressing this important question. Notable artists and practices that I visited included the work of Alfadir Luna (MX) who has developed a practice over the past several years of working with the merchants of the Mercado de La Merced in the historic center of the city. 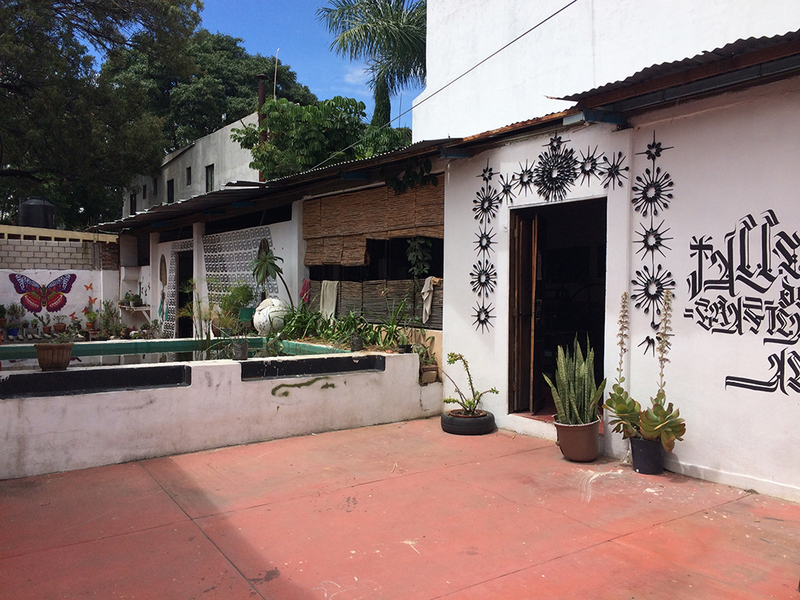 The location has been used as a merchant site dating back to Pre-Colombian times but recently the market has faced threats from developers, including those within the local government, who wish to “clean up” the market of its extra-legal activities, including prostitution and drug sales. 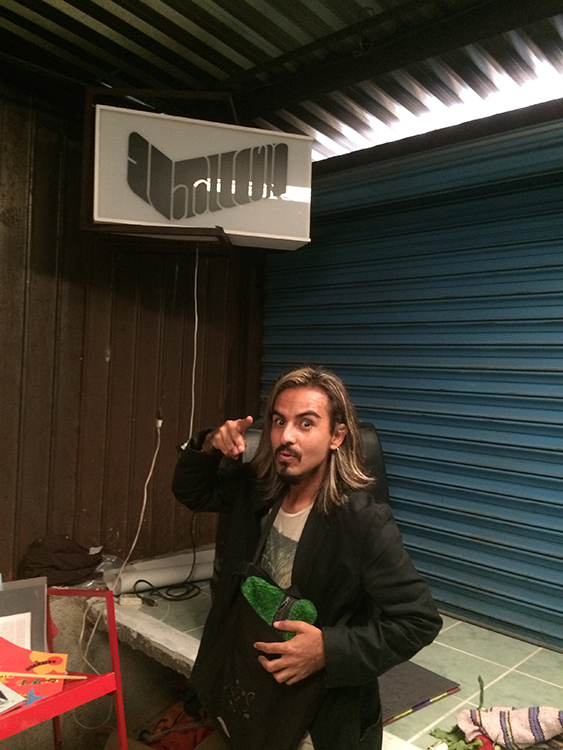 Alfadir has installed himself as an artist and organizer within the market and has helped develop a center for “cultural reflection” where merchants can activate various social and cultural processes. 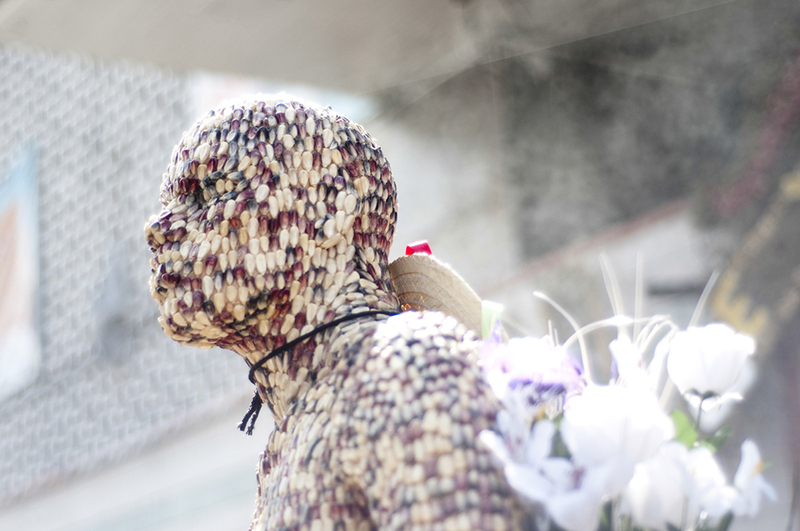 One such action was a project called “El Hombre de Maíz” (The man made of maiz) who, in the words of the artist, “is an empty signifier” for various traditions within the market imaginary that was carried over into festivals and other community led events within La Merced. Suzanne Lacy and I had the pleasure of spending an entire day with Alfadir in La Merced getting to know many of the merchants with whom he works and learning about the challenges the market currently faces. Other visits included spending an afternoon with Iván Puig and Andrés Padilla Domene talking about their project SEFT-1 (Sonda de Exploración Ferroviaria Tripulada / Manned Railroad Exploration Probe). SEFT is a self made vehicle that runs on rails as well as on roads and is meant to be an exploratory probe that both allows the railnauts to explore the history or capital investment through abandoned railways- the history and narrative of progress in Mexico- while also meeting and dialoguing with the former workers to create an intimate story of railway. Iván and Andrés invited me to their home in order to give me a copy of their book and see the archival materials that were collected in their voyage: Rocks for a town called Mars, fragments of European building materials brought through rail to the interior of Mexico, old rail spikes and bits of old engineering equipment – technology long forgotten. Our conversation ultimately ended up discussing the history of rail in Los Angeles, and the well-worn story of how private interests displaced an extensive public rail system in order to build freeways and the city of the future. The ongoing question of “why” bring community-based practices into the art world continued throughout the trip as I also had the opportunity to have numerous fruitful conversations with artists including Jorge Linares from El Hilo de Ariadna, a group dealing with narco-violence, as well as Fernando Fuentes of the La Lleca collective, a group working with prison youth in federal system. Curator of the newly concluded research and exhibition platform Entre Utopía y Desencanto Sofía Olascoaga shared her thoughts on a project that will have similarities with Talking to Action. Entre Utopía y Desencanto was an extensive investigation of pedagogical lineages that traverse the work of Ivan Illich’s years in Cuernavaca as well as Sofia’s own personal family story. 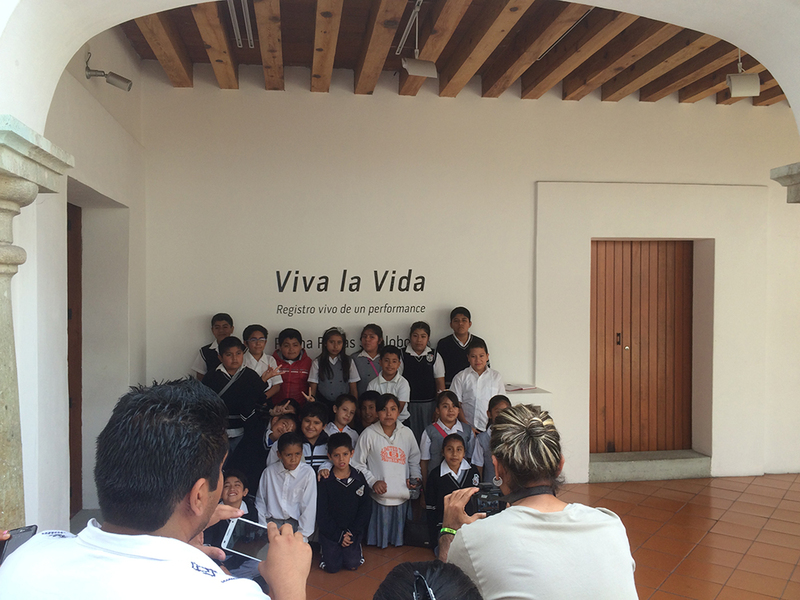 I was also fortunate enough to visit the Fundación Alumnos 47 through an invitation from curator Jessica Berlanga Taylor. Alumnos 47 is a new foundation that is developing programming on community-based practices on their grounds as well an offsite/onsite library. 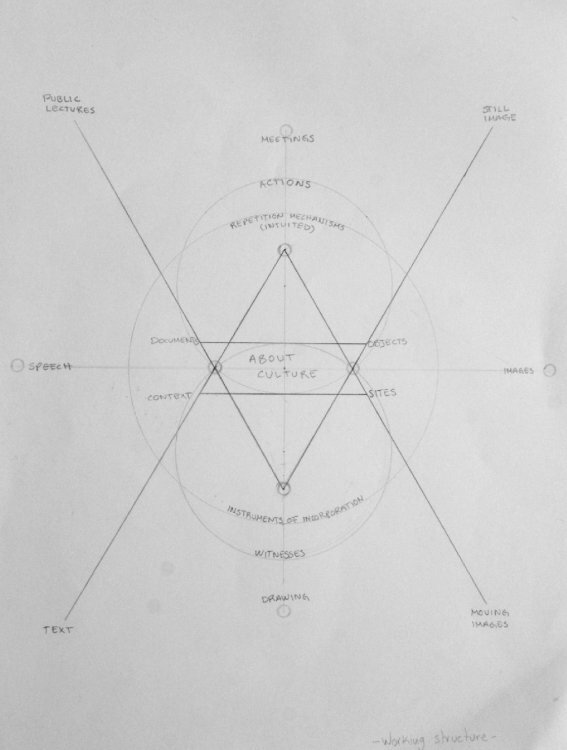 My conversation with Jessica returned to the themes of how to maintain a reciprocal relationship with artists doing this kind of work – in other words, how to curate social practice? Artist Diana Cardona led me through a beautifully poetic and informative audio tour of the basement gallery of the Casa Cultural de España and Plaza Mayor ruins entitled ¿Quién es el habitante de la casa? 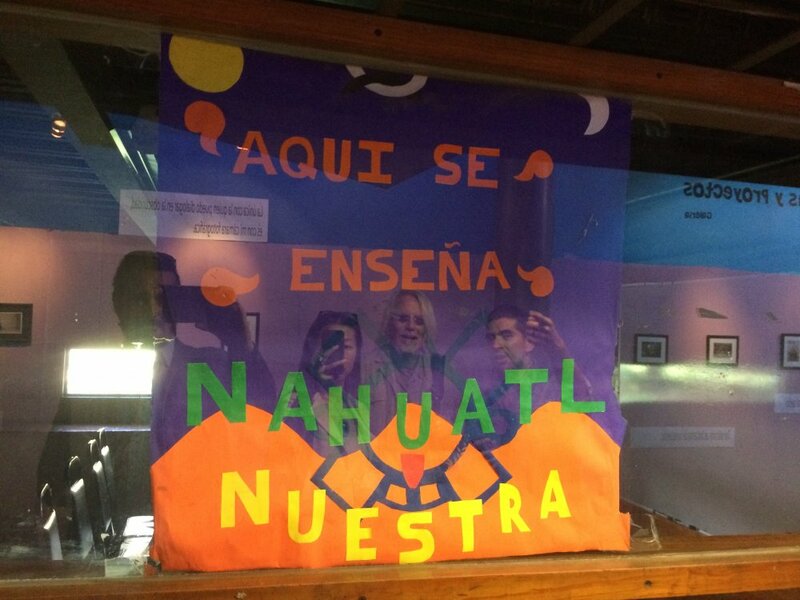 – a spoken tour that speaks of memory and contemporary cultural life in a complex setting like Distrito Federal. Finally a dinner meeting with curator Lucia Sanroman and Giacomo Castagnola was, as it always is, a necessary reminder in how to balance work and play with conversation is how to navigate extensive projects with numerous moving parts, particularly within the realm of this emerging Social Practice field. My visit to Oaxaca was brief but I managed to quickly visit the La Curtiduria art center that was recommended to me by numerous people. Artist Monica Castillo, who helps run the space was not able to be in the city at the time, but put me touch with two amazing projects. One was the work of Jaime Ruíz Martínez, whom along with Alex White Mazzarella started the Patria Nueva project in the outskirts of Oaxaca. 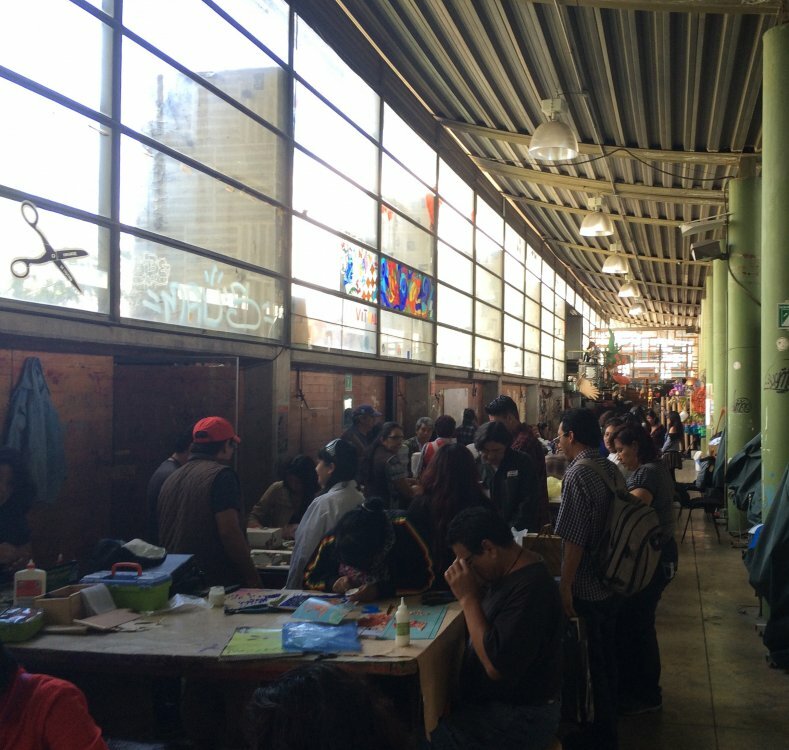 I met Jaime at the Centro de Diseño de Oaxaca where he also works as Director of Project Development. The project takes its name after the neighborhood on the outskirts of the city, colonia Patria Nueva, where Jaime and his neighbors have been organizing community-led educational projects that range from sowing lessons in traditional regional embroidery techniques to developing a community garden. The level of dedication neighbors had to the project was impressive. 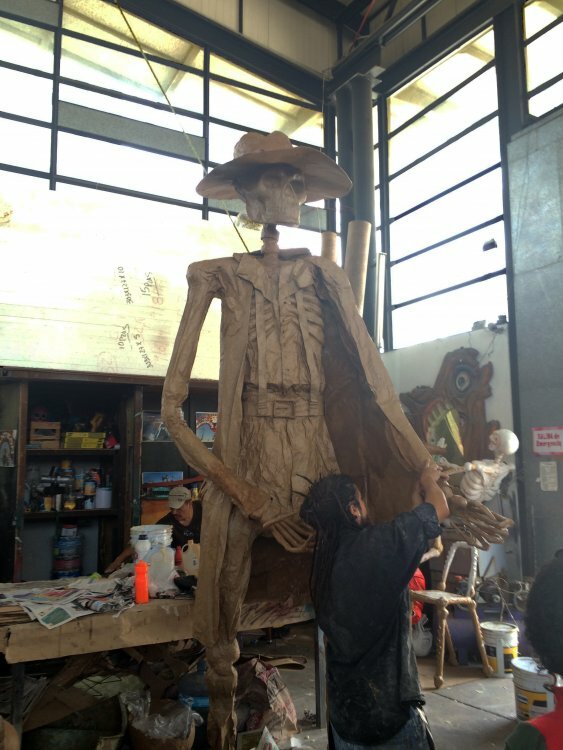 The other artist project is Saúl López Velarde’s Balcones project that he started in the central market in the city. Saúl took over a merchant stall in the market and started working with the market community there. On this day Saúl took elementary school kids to the Contemporary Art Museum to see an installation of a performance documentation in which the students had previously participated. The school was located across the street from the market, and most, if not all, of these students worked with their parents in the market when they weren’t in school. Saúl sees his work, both as a teacher in the class, as well as in the market as the work of an artist “shaping the social sculpture,” to put it in his words. 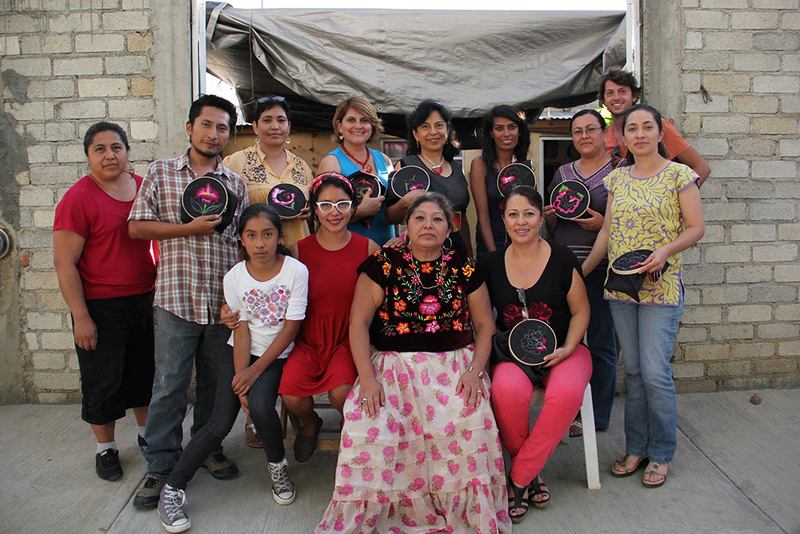 I came away from these visits asking myself the same question that was posed to me by the researchers in Mexico City two-weeks previously: why bring community-based practices into the art world? My long time collaborator Maria Fernanda Cartagena as well as Mabel Tapia were both assertive in asking me to consider this issue. 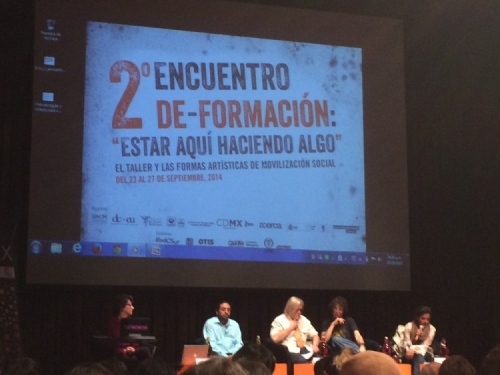 Both researchers, along with David Gutierrez, questioned in very productive ways, the logic of framing these practices as “art.” All three – along with others attending the conference – are members of the Red de Conceptualismos del Sur research collective and this larger topic was an important one that they had been discussing internally. My own personal take on this is undoubtedly colored by my education in the U.S. and my training with scholars like Grant Kester and working with artists like Suzanne Lacy: I have no ethical concerns with cultural workers of any kind calling themselves artists, or what they do “art.” In fact, I feel a sense of responsibility to not abandon the terms to the interests of the market – in its varied forms. But then again, I come from a U.S. perspective where museums have a very different economic reality, possess very different relationships to national histories and politics and have different pedagogical mandates within their respective communities. It’s understandable that when I use the term “artist” I don’t have the same historical dynamics backing it up. 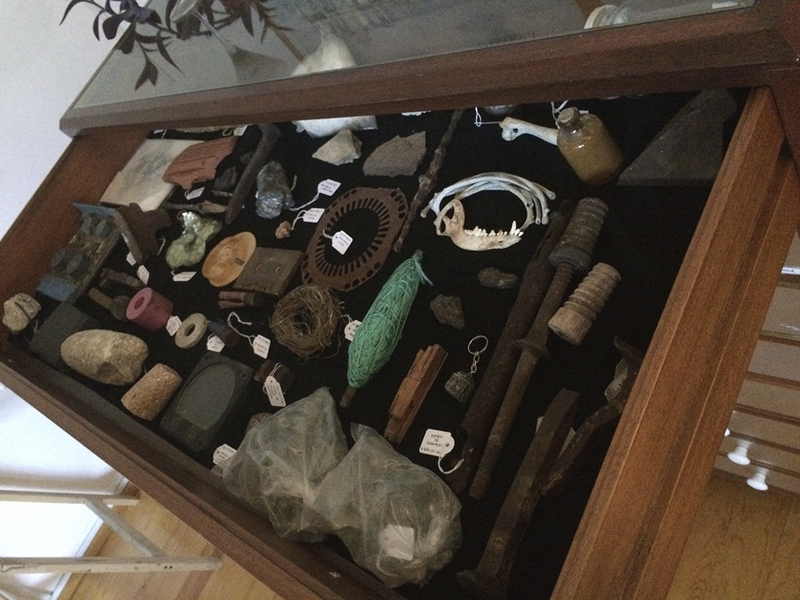 Why bring community-based practices into the art world? That will be a one of many ongoing questions we, as a group, will have to take on and discuss over the next year. It won’t just be an issue that exemplifies our differences (LA/LA), but it will be a starting point, into what is hopefully a more intercultural dialogue amongst researchers, cultural actors, and “artists” as well.